It's Lovely! I'll Take It! : "Be aware of transients living throughout property." "Be aware of transients living throughout property." Heather found this listing, with its friendly advice that one should "be aware of transients living throughout the property." I like the offhand tone. Oh, those? The things scattered throughout the property? They're just transients. Tra la la..."
And the photo? What? What's the problem with this photo? Would you prefer to have the mattresses inside the house? I think not. This is too much!! Do the transients cost extra, do you suppose? 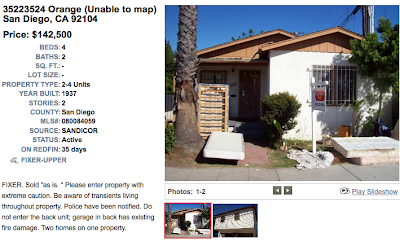 Maybe the listing was removed because the transients scraped together enough "spare change" to buy it. Good for them! The transients were not amused to see thier furniture outside the house. The nerve! You put mattresses in your front yard, transients will sleep on them. It's that simple. I don't know what people are so worked up about. It's not like they are squatters which might stay for god only knows how long. These are transients people, and by definition only passing through. "passing through or by a place with only a brief stay or sojourn"
Sounds like people on a mission. What if the inn keepers had said no to a transient Mary and Joseph...oh, wait. Transients AND fire damage?!? I don't care how much it is, I simply MUST have it! "Please enter with caution" Yeah cuz the mattress police out front will getcha! This is a lovely transient house. Come on down to New Orleans, and boy, can I show you some goodies. For that matter, I am insulted there are no postings for Louisiana. We are home to some of the craziest politicans and musicians in the nations. I would think we have a share of nutty listings. 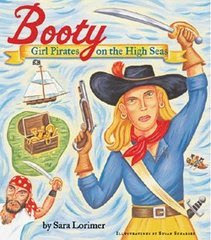 I demand equal representation! Realtors, let's get busy, and find those NOLA crack houses! Oh for the love of...Enter with extreme caution? 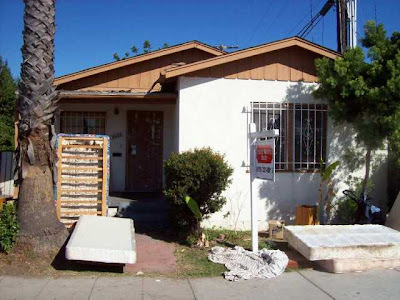 Can you knock the cost of delousing the joint off of the listing price because with all those mattresses, you're going to need a hefty lice budget. "Enter with Extreme Caution" and "the police have been notified" are two phrases that really ought to win some prize in the anti-marketing awards. Marketing for when you care more about the possible wrongful death suit than you do about the commission. Maybe the transients could help with the fixing up of the property. One man's transients are another man's INSTANT PARTY CROWD! Throughout the property? Sounds like even after you think you have gotten them all out, you would keep finding a stray transient in a crawlspace or attic after you've moved in. I can always tell a San Diego listing just by looking at it. I live in San Diego and I've never seen this house, but, sadly, it is representative of many neighborhoods.